Zandona Carbon Air Heel Over Reach Boots, have been developed to protect the horse in every kind of discipline. These premium quality boots are made in Italy to the highest standard. 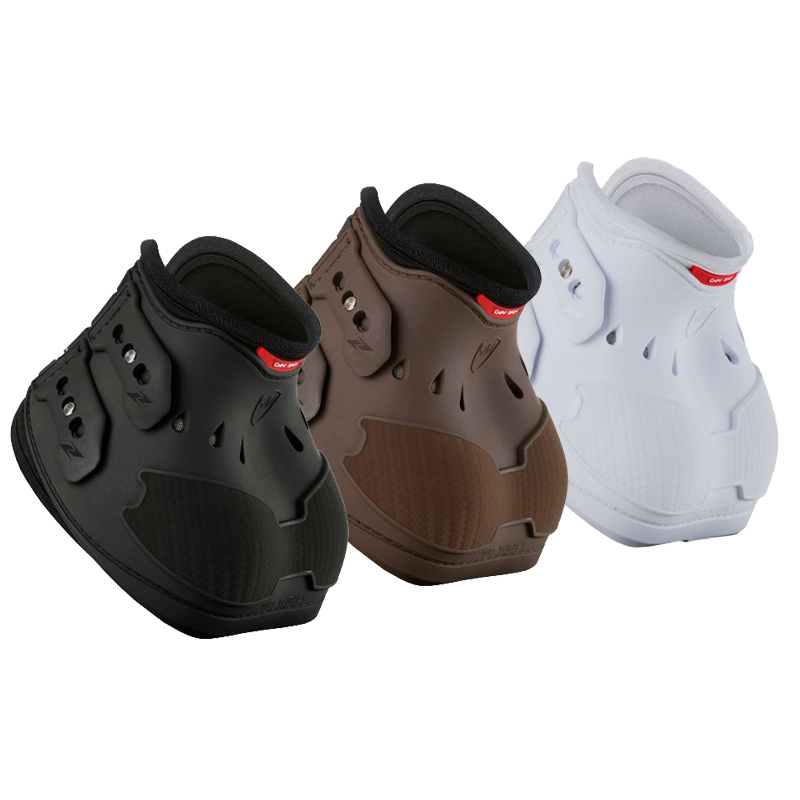 Zandona Carbon Air Heel Over Reach Boots are protective yet flexible. The Gel-Tech technology has features of shock absorption and offers a comfortable padding. They are also breathable thanks to the perforated Neoprene ventilated by 6 vents. Carbon Fibre elements are present under the shell, to thermally insulate the joints and to increase the mechanical resistance to impacts. The elastic straps with quick-release-tip keep the boots securely in position. The size and absolutely ergonomic shape of the boots has been developed based on the structure of your horse's legs, ensuring a perfect positioning and avoiding any kind of stress.